A high-profile Minnesota employer, Surly Brewing Company, has been found liable in a state court class action for violations of Minnesota’s wage and hour statute governing the pooling of employee tips. The amount of damages has not yet been assessed but the class of employees who stand to receive payment from Surly under the ruling appears to number in the hundreds. Given the prevalence of various kinds of tip pooling in the hospitality industry, a great many Minnesota employers may be at risk for similar litigation under the tip pooling statute. 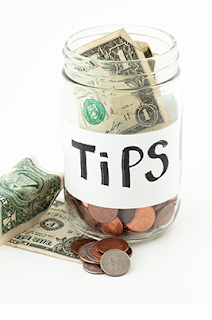 At a minimum, an employer whose employees receive and share tips should immediately re-assess its risk in light of this ruling, which is one of the few to interpret the tip pooling statute. Preparing and presenting Acknowledgment forms for employees to sign indicating their agreement to follow the majority vote regardless of their personal views and that they understood the tip pooling applied to them. Does not allow Surly to direct how employees should go about making a tip pool arrangement. Does not allow senior management to weigh in with their opinions or preferences as to what any independent employee agreement should look like, or to require that all employees abide by a single method for agreeing to share gratuities. Until there is legislative change to the statute, employers with employees who receive tips will be well-advised to examine any system that may be in use for pooling or sharing of tips.